Should my BEE Auditor consult? First and foremost, Approved and Accredited BEE Auditors may not verify their own advice as covered in the Framework for Accreditation and Verification by All Verification Agencies gazette. This could lead to the infringing party losing their accreditation license. 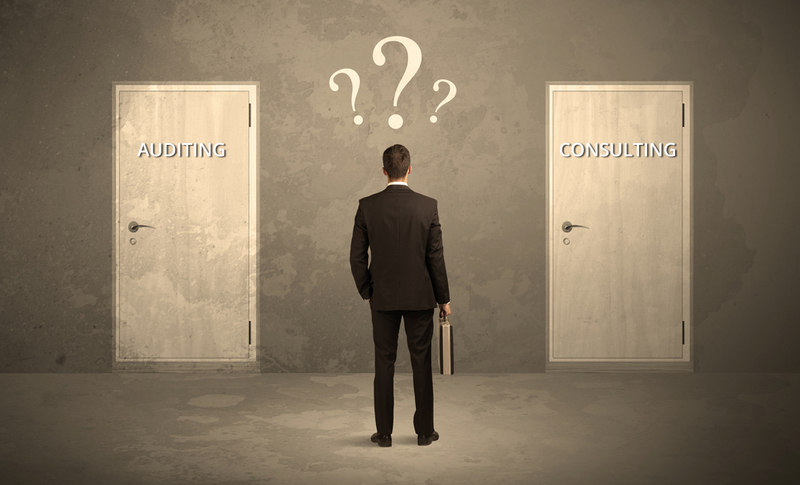 There has been a growing practice of BEE Auditors and verification professionals opening up their own consulting or affiliated consulting practices. Unfortunately, this creates a conflict of interest and could also expose your business to some serious dangers. There are currently two governing bodies for the issuing of BEE Certificates. The Independent Regulatory Board of Auditors (IRBA) and the South African National Accreditation System (SANAS). However, IRBA has confirmed that they will no longer be involved with BEE Verification and are expected to finalise their withdrawal by 30 September 2016. SANAS will remain as the governing body over BEE verification and accreditation. SANAS has always rejected the practice of auditing and consulting by the same party. In theory, it seems to be more beneficial to the client to offer both services and become a “one-stop-shop”. However, when we look at the practice, there are some very definite challenges to this. BEE is fast becoming a competitive edge in the marketplace. As a competitive business, you want to be certain that your BEE Certificate is accurate and best represents your participation in BEE activities. What many businesses miss is that their BEE credentials are not only under scrutiny by their own Verification Agency but by every agency of every client to whom the certificate is supplied. The number of falsified BEE Certificates is on the rise and many are discovered in the BEE Audit process by the agency conducting the BEE Audit. Therefore having an independent body audit already prepared documentation is becoming increasingly important for peace of mind and protection in the market. We have already seen businesses “shamed” for misrepresenting themselves through inaccurate BEE credentials, some knowingly and others unknowingly. A situation that we predict will grow in frequency with the more challenging BEE Codes and increased competitiveness. Where, in the past, it was more embarrassing to businesses who were caught out with false representation of their BEE position, this now carries far more serious consequences. “Fronting” has become a criminal offence and while many believe this simply to be the act of creating a false “front” to the business, it is actually any transaction, arrangement or other act that directly or indirectly undermines or frustrates the achievement of the objectives or the implementation of any of the provisions of the 2003 BEE Act. Falsifying your BEE position or certificate knowingly or unknowingly carries hefty fines and as well as a 10-year jail sentence. Furthermore, BEE Auditors will be required to report any infringement that is discovered. Another point to understand is that BEE Auditors do not necessarily make the best consultants. Another point to understand is that BEE Auditors do not necessarily make the best consultants. Auditors must take a stance on an interpretation of the BEE Codes of Good Practice to allow for uniformity and standardisation within their verification process. They then must have a very clear structured process around the validation of evidence against data. Consulting requires a different mentality and greater understanding of the business operation and desired goals of the business. Consultants must think divergently with multiple potential correct answers and solutions to assist a business in leveraging the BEE Codes to achieve the best scoring outcome. Where consultants show their true value is their ability to go beyond the Codes and work towards the spirit of BEE with an improved return on investment and greater opportunity for the business. This is where we enter into the world of Transformation and Diversity Management. This is a topic all on its own. Shop around, as not all agencies have the same stance or interpretation on the BEE Codes and this could have a material impact on your BEE Level. Keep your BEE Consulting separate and know that you are receiving unbiased advice that will reflect in an honest BEE Score and provide you with more power to defend your position in a BEE Audit. Protect your business by using experienced professionals, with a solid track record in each separate discipline. Are Importers Out of the BEE Game? Beesa on Are Importers Out of the BEE Game? David Underwood on Are Importers Out of the BEE Game?